Vietnam is part of our history and one war in which thousands of our brave soldiers lost their lives fighting to protect our freedom. We have these soldiers and many others to thank for the lives we can live today. 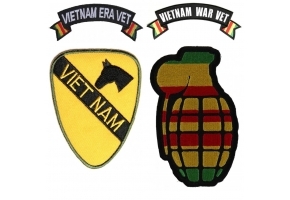 That is why the In Memory of Vietnam Cap Patch is such a popular patch. 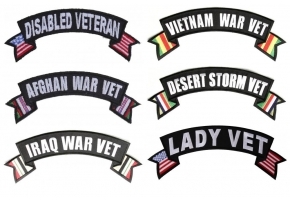 We sell hundreds of these patches to those bikers who want to show their respects to the ones who never returned from this terrible war. 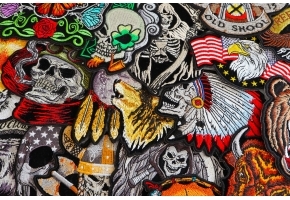 If you would like to remember these brave soldiers then you can apply this embroidered patch to your biker vest, jacket or cap. 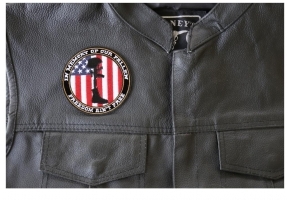 It measures 5 x 2.75 inches and shows a soldier kneeling at the grave site of one of the fallen. 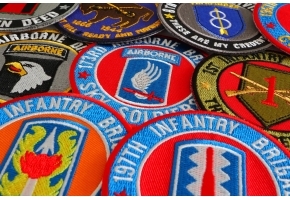 With bright yellow and red lettering on a black background, this patch will definitely stand out so that others will know how you feel. 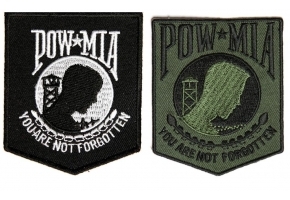 Show your pride for our brave heroes who have sacrificed their lives and who are still doing so on a daily basis and make sure that others don’t forget those who never returned from Vietnam.